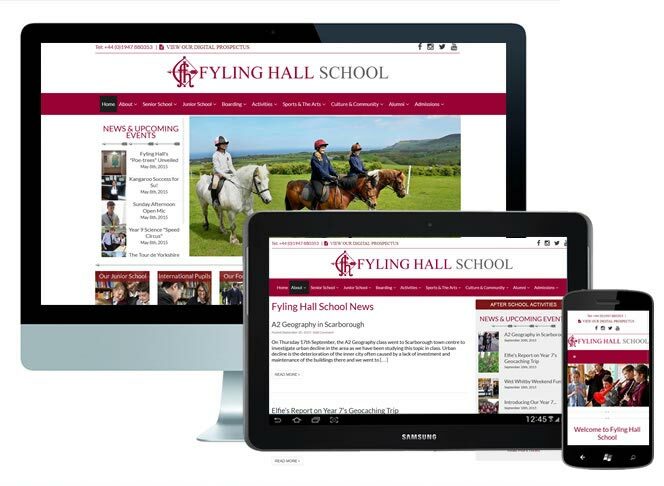 New bespoke WordPress design for Fyling Hall School. We managed to take the current WordPress content and help re-organise it and create a more structured layout and more professional design. The new website also had to be responsive (tablet and mobile friendly). If you need a fresh new website for your school that you can maintain yourself quickly and simply then please get in touch. We can design a WordPress theme for your school and provide training.